The University of Wisconsin-Madison is a richly-funded science research environment, which is especially evident given recent NSF and NIH research funding statistics. In total, the University of Wisconsin-Madison received $335.9 million in research funding from the NSF and NIH in 2012. 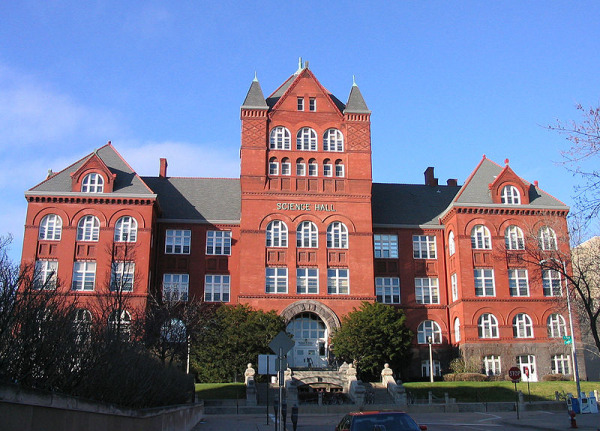 The NSF awarded the university $106 million. Of that money, $13.8 million went to bio research projects alone. For our readers’ convenience, we have spotlighted the top five NSF-funded bio research projects broken down by funding program, project title and research funding below. In addition to receiving NSF research funding, the University of Wisconsin-Madison was also awarded $229.9 million in funding from the NIH. The money was distributed among a number of different departments, including departments of anatomy/cell biology, biochemistry, biology, biomedical engineering, biostatistics, chemistry, family medicine, internal medicine, pharmacology and veterinary science. We have compiled a list of the top five NIH-funded bio research projects along with a short description of each project and the amount of research funding it received in 2012. The University of Wisconsin-Madison is one of the best funded biotechnology markets in the country. If you are a lab supplier or research professional interested in participating at this upcoming University of Wisconsin-Madison event, Biotechnology Calendar, Inc. invites you to register at Madison University Research Park BioResearch Product Faire™ Front Line Event on September 4, 2013 and our Madison BioResearch Product Faire™ Event on September 5, 2013. Biotechnology Calendar, Inc. is a full-service science research marketing and events-planning company that organizes trade shows at top research institutions across the country. If you are interested in attending a trade show closer to home, we encourage you to check out our 2013 calendar of events.